Eligibility:Anyone needing an efficient document scanning program , and is located in the United States or Canada may purchase this software. Potential purchasers outside the U.S. and Canada, must contact the Support Desk before purchasing. Purchases by non-U.S./Canada professionals without Support Desk pre-approval may result in cancellation and refund, minus a 10% restocking fee. which license do you need?We offer two types of licenses. Contact the Support Desk before purchase if you would like help determining your needs. A “SITE” license, allowing unlimited installations, for solo practitioners, small specialty groups, and certain nonmedical installations. Pricing is determined by the number of partners in the practice. A “SEAT” license, restricting installations to specific computers, for larger multispecialty groups, surgicenters, record rooms, nonmedical professional offices, and installations by IT/Reseller professionals. All PCArchiver licenses include one year of unlimited Support, including: help by Email, fax and phone, software upgrades, and online remote training. Entirely new versions (not upgrades) may be purchased at discount (see below). IMPORTANT NOTE: Versions PCArchiver12 and Scan12 run on 32-bit and 64-bit Windows computers. Versions PCArchiver10, Scan9 and Scan10 run only on 32-bit Windows computers. No PCArchiver programs run on Macs, but do run on Macs using a PC-Windows operating system under dual OS software, such as Parallels. We will continue to support PCArchiver10/Scan9/Scan10. The PCArchiver10/Scan9/Scan10 versions remain well suited for most offices. Click HERE for a comparison of version 10 and version 12. Please contact the Support Desk; to help you decide. "SITE" license vs "SEATS" license: See graybox above for definitions. Microsoft made changes in their Access database program when they moved to 64-bit architecture and the .NET language. This change requires our users to convert their PCA10 database to a PCA12 database. To CONVERT a database, do it yourself (Appendix B of the User Manual) or we do it for you for $150 per database. All PCArchiver licenses include one year of unlimited Support, most Software Upgrades, and online Remote Training. We will get you started, provide training tools and personal coaching, and answer any questions you have along the way. After the first year, a nominal fee gets you additional years of unlimited E-mail, Fax, Phone, and Remote On-line Support and most Software Upgrades. While you can renew at any time, we suggest you keep your Support contract current so we can help you quickly if you should ever need us. Note: If you have not maintained continuous Support, your new Support contract expires on either 6/30 or 12/31. Since the computer setup and staffing differs from office to office within the same practice, a separate Support contract is required for each office that needs help. Initial purchase includes a staff training session. If additional sessions are needed to retrain existing staff or train new staff, an Additional Training Session can be purchased below. Purchase of the PCA12 Upgrade does not include a free year of Support. The free year only follows the initial full purchase for new users. One year of E-mail, Fax, Phone, Remote On-line Support and most upgrades. The 1st year is free with original purchase only. Separate Support required for separate offices. Three years of E-mail, Fax, Phone, Remote On-line Support, and most upgrades. The 1st year is free with original purchase only. Separate Support required for separate offices. The Recommended Hardware page reviews products we have tested for enhancing or improving your experience running PCArchiver. You buy some of these items at preferred pricing below. 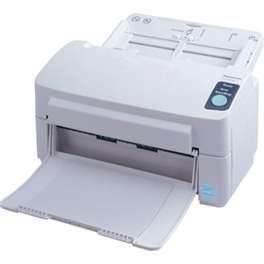 Fujitsu and Panasonic scanners Please click the Recommended Hardware page to see details and prices of recommended scanners. Feel free to call to discuss the models. $ Our wholesaler can no longer provide as good a price as Amazon or NewEgg so we suggest you look at both. Scanners have a 1-year warranty and are reliable so it is not necessary to buy an extended warranty, but you make that choice. More question? Email PCArchiver at the link below. Click to purchase($59 for one year) then download, and install. See the Carbonite info sheets from PCArchiver and the How-To Geek daily newsletter for details. See Warranty NOTE regarding BACKUP below. SyncBackSE to backup and synchronize files Synchronizes files on your external and internal hard drives. It just processes last changed files to save time, and can be set to process files in the middle of the night. We use it daily on all our computers. $39.95 Buy SyncBackSE V7 Click Download to Purchase, then install. See Warranty NOTE regarding BACKUP below. EncryptOnClick encryption software Multiple utilities, including EncryptOnClick to encrypt patient chart and other data. It is easy and inexpensive, and meets HIPAA requirements. $29.95 For a quick product review, see an article in How-To Geek. Next, and before use, CLICK HERE AND READ. Panasonic/Fujitsu scanner repair As of Nov 1, 2013, ProMark no longer repairs Panasonic scanners. Please contact the Panasonic repair service 800.726.2797 (punch in kvs2028 when asked) for repair needs. Password Program for PCA12 The Password Program for PCA12 is free to all users who have purchased PCA12 since Oct 1, 2011 and to users who have maintained active Support since at least Oct 1, 2011. Owners of PCA10 already have a password program available in the ROZ or in their PCArchiver folder. please print out an order form for PCArchiver software and hardware, and mail or fax, together with a check or credit card information, to the address on the form. You will need Adobe Acrobat Reader to view the form. For software purchases, we will send the Software Agreement and Step-by-Step instructions. After return of the Software Agreement, we will send UNLOCK codes to your e-mail address. Please allow up to 72 hours to receive them. For Hardware purchases, we pass your order to our distributor who will ship directly to you. The purchase of PCArchiver is refundable up to the time that Unlock Codes have been sent, minus a 10% restocking fee. Once Unlock codes have been sent, the software is not refundable. We warranty the software to be free of bugs and defects. NOTE regarding BACKUP: PCArchiver, Inc. is not responsible for backup of data. We offer suggestions, but depend on the prudent user to have reliable, redundant, automatic, and off-site as well as on-site backups. Computers WILL crash, get stolen, burn up, or erased by staff. Get local professional advice and test the system on occasion.